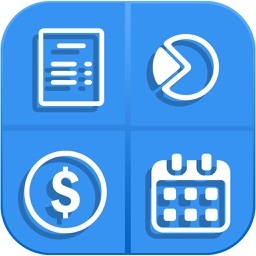 You always need a simple tool to control the amount you want to spend this month. Essentially you need a big calendar to track the amount of money you have spent compared to the amount you wanted to spend. You also need to generate lists of overdue payments, planned payments and check what has already been paid off. 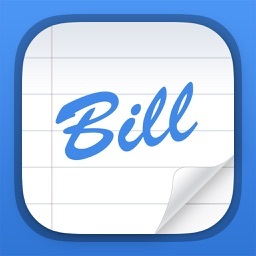 Bills for iPad is made to help with those needs! 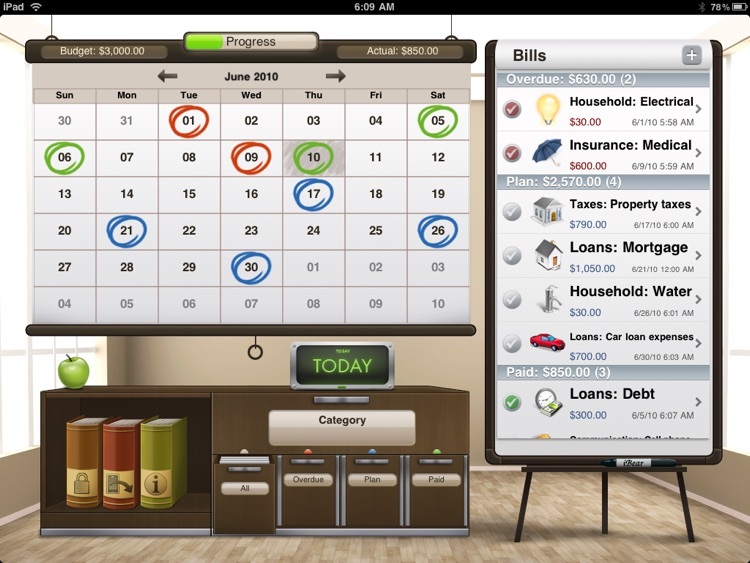 Make your ongoing monthly financial planning an easy and pleasant task! Set a figure indicating how much you want to spend this month. Mark days on the big calendar when you need to pay for something or buy something. 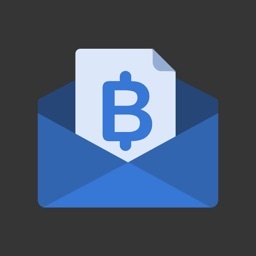 Then when you actually have a transaction, approve it quickly (you may also approve it partially and reschedule the rest of the payment). 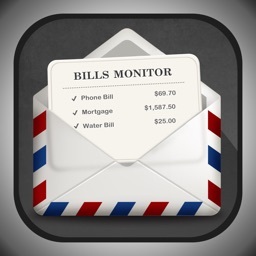 Easily filter your bills and payments via the calendar and special boxes to show your planned, overdue and paid expenses & bills. If you spend too much, the green bar above the calendar will let you know about it. 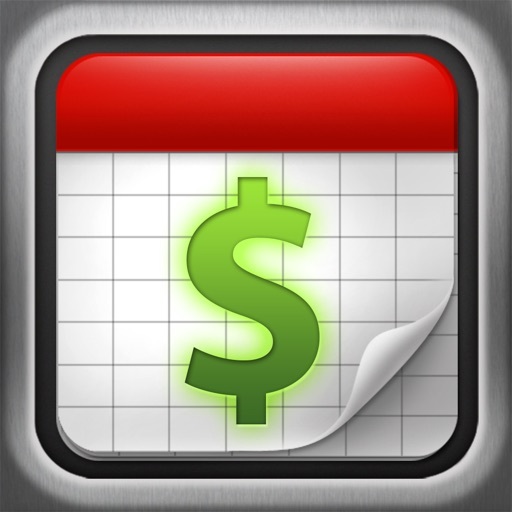 For better payments planning you can add your income into the calendar as well. Extra features: export to HTML and CSV (Excel), and PIN code to protect your entries! 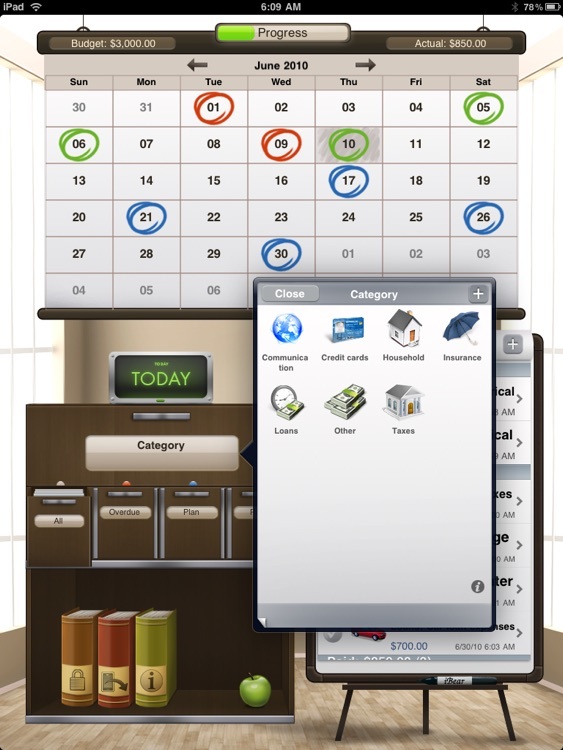 Each element reminds of real office room objects, which are so familiar and help to concentrate when taking care of the bills and expenses. 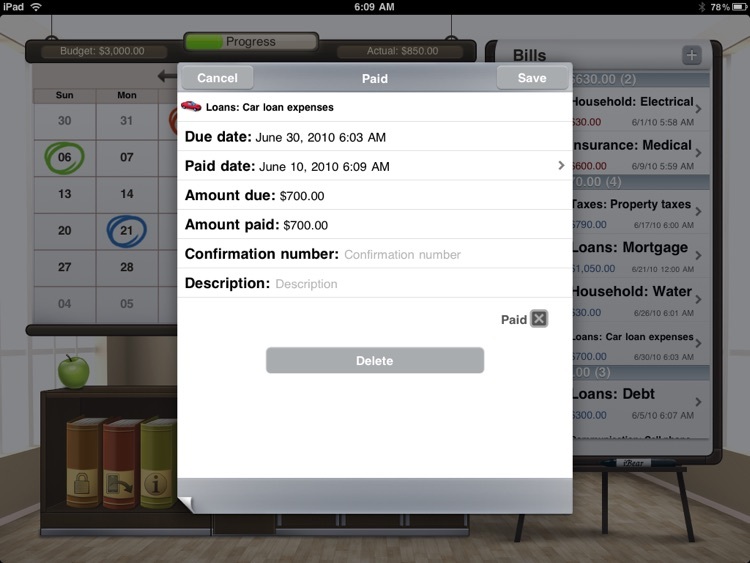 Flip board shows the list of your transactions. Big projector screen shows you a calendar view of the current month. Office folders are reserved for extra features. Drawers are meant to serve as filters. 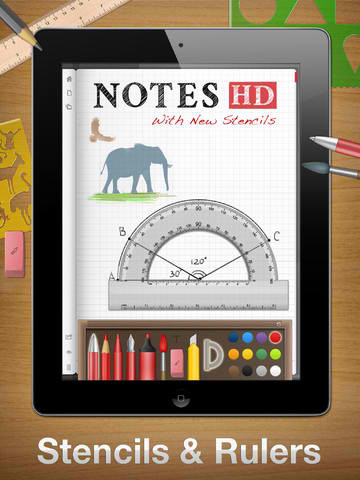 And when you add or edit entries, you will see a memo book page. 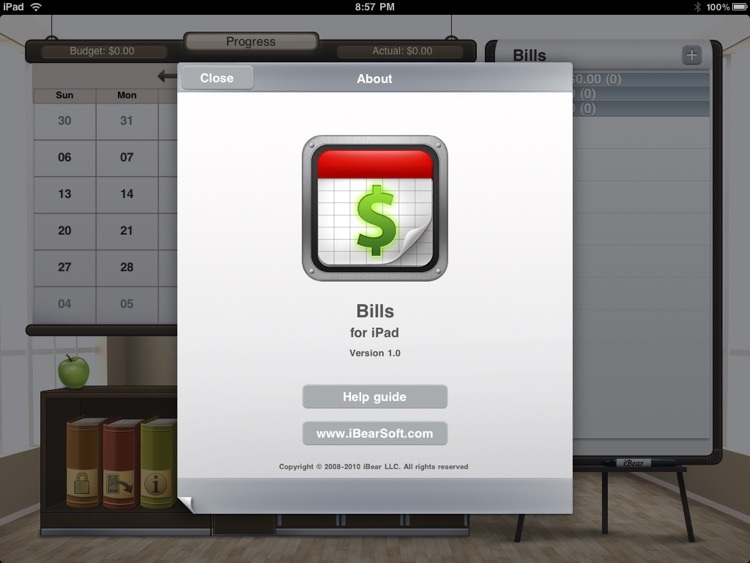 Bills for iPad is here to give your financial experience with iPad a new turn. 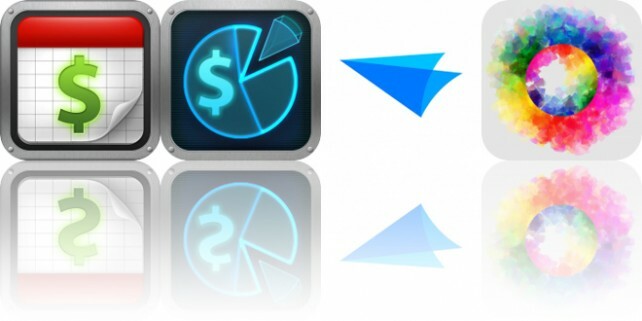 Today’s AppsGoneFree list includes finance apps, a photography app, and an email app.